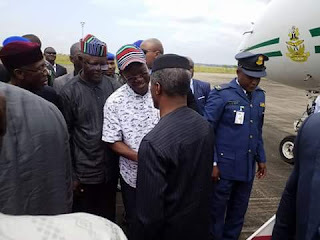 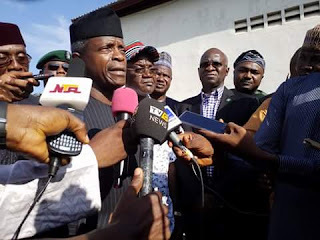 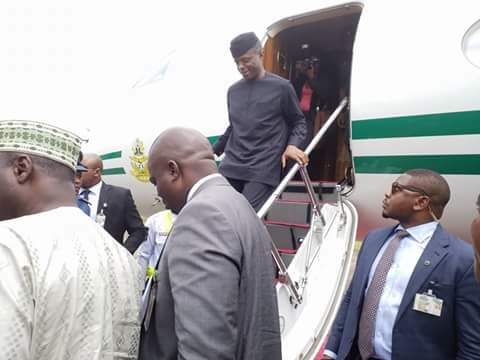 BENUE FLOOD: Vice President, Professor Yemi Osinbajo arrives in Makurdi. Governor Samuel Ortom received the VP a short while ago at the Makurdi Airport. Vice President, Professor Yemi Osinbajo, accompanied by Governor Samuel Ortom, now paying a courtesy visit to the Tor Tiv, HRM, Professor James Ayatse with the entire Benue State Council of Chiefs. 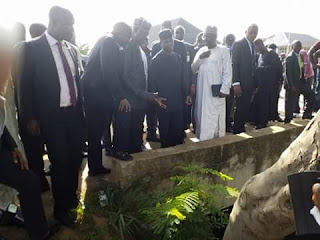 Vice President, Professor, Yemi Osinbajo now visiting areas affected by flood in Makurdi. 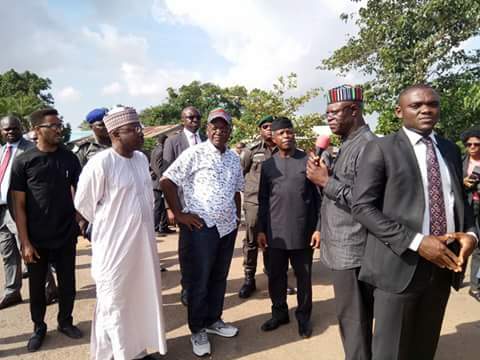 DREDGING OF RIVER BENUE CAN NO LONGER WAIT! 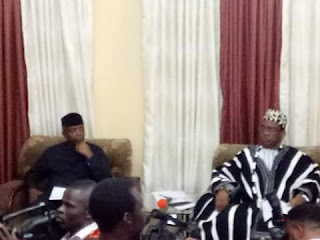 "There must be effective dredging of River Benue as a long term solution to flooding in Benue State." - Vice President, Professor Yemi Osinbajo speaking in Makurdi this afternoon after an assessment tour of areas affected by flood.